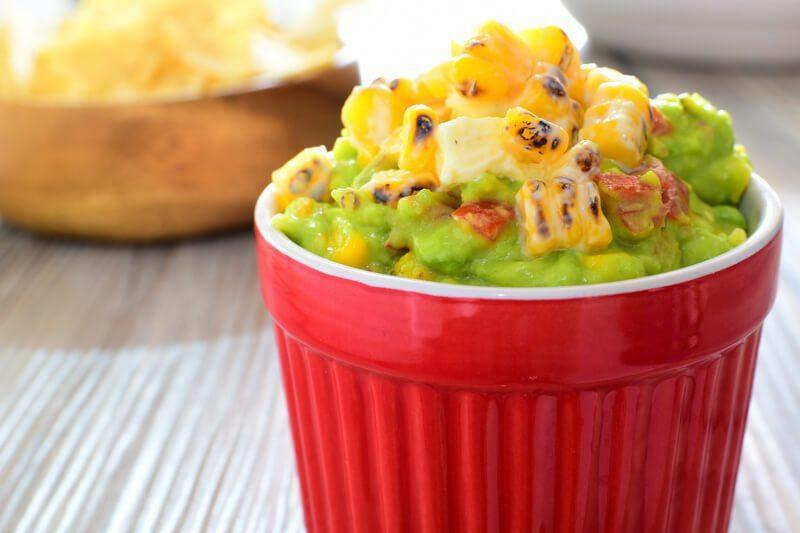 Roasted street corn meets guacamole in this perfect Mexican treat. This is definitely something all your friends will surely love! Combine corn, sour cream, and cotija cheese in a bowl. Set aside. 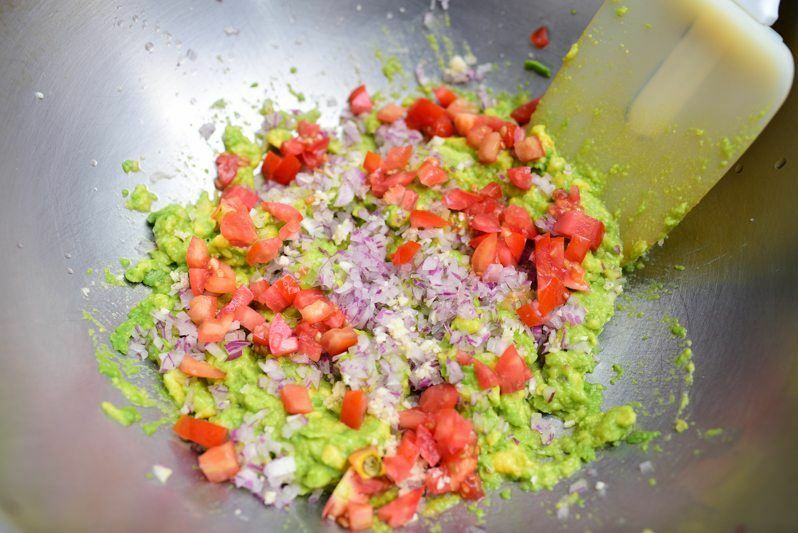 Combine the mashed avocado, onions, garlic, tomatoes, and lime juice in a bowl. 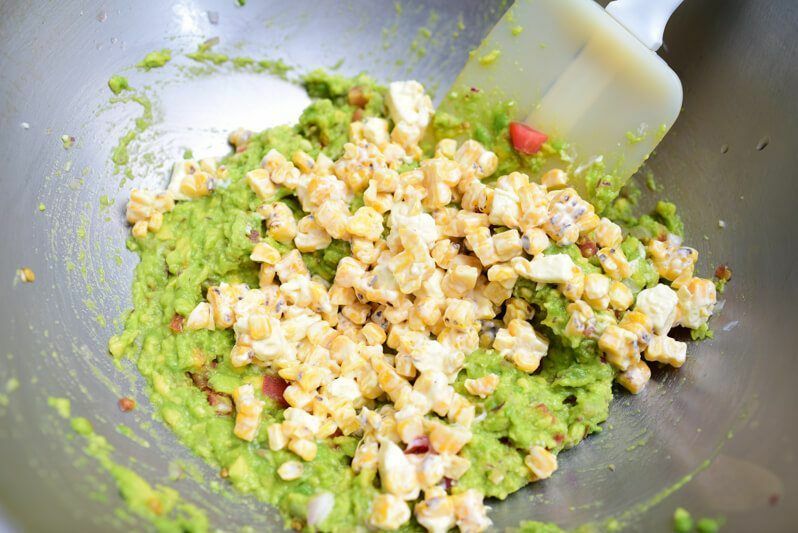 Fold in about 3/4 of the corn mixture into the avocado mixture. Transfer to a serving bowl and top with remaining corn mixture. 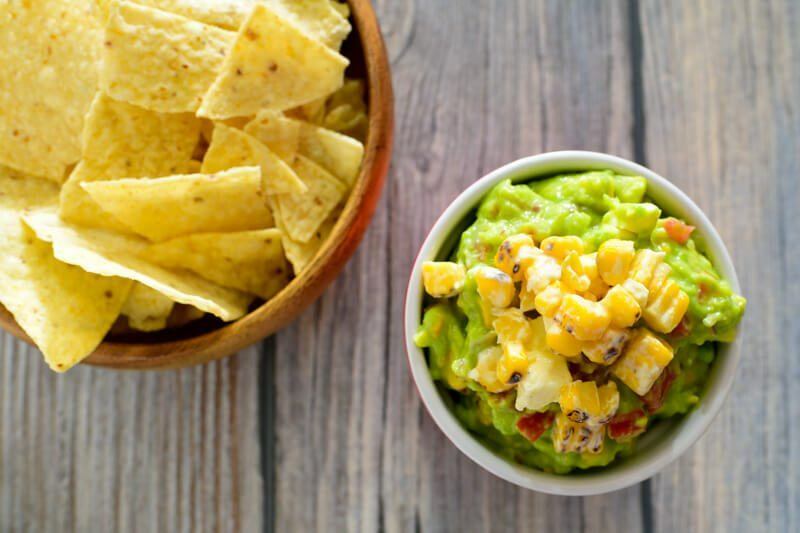 In this recipe, we combine two well-loved specialties of Mexican cuisine, roasted street corn and guacamole, for one very interesting treat! A famous Mexican street food, roasted corn does have the flavor that could easily win anyone's liking. The deep smoky flavor from grilling fresh corn in live charcoal does add a very significant depth to its natural sweetness. Toasting corn also adds an outer crunch to those individual kernels while keeping every bit as moist. 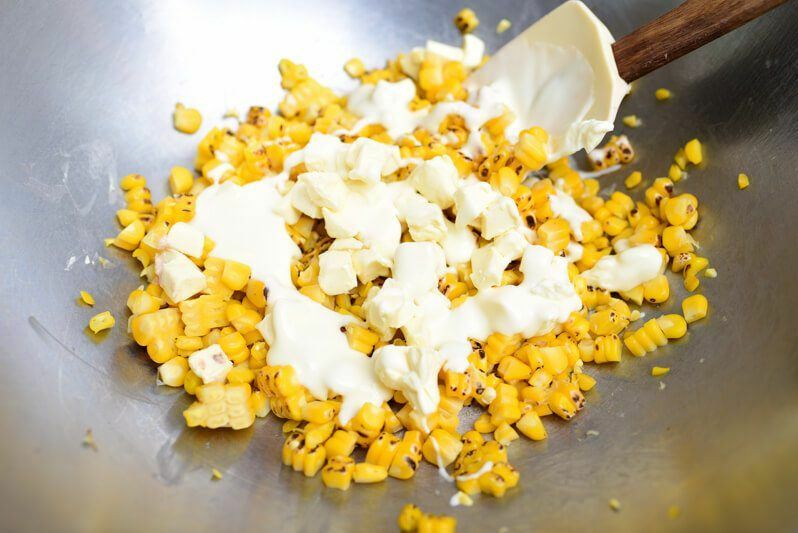 To add even more goodness, Mexican street corn is served with sour cream, cotija cheese, and limes. . . all of which we'll be using in this recipe. 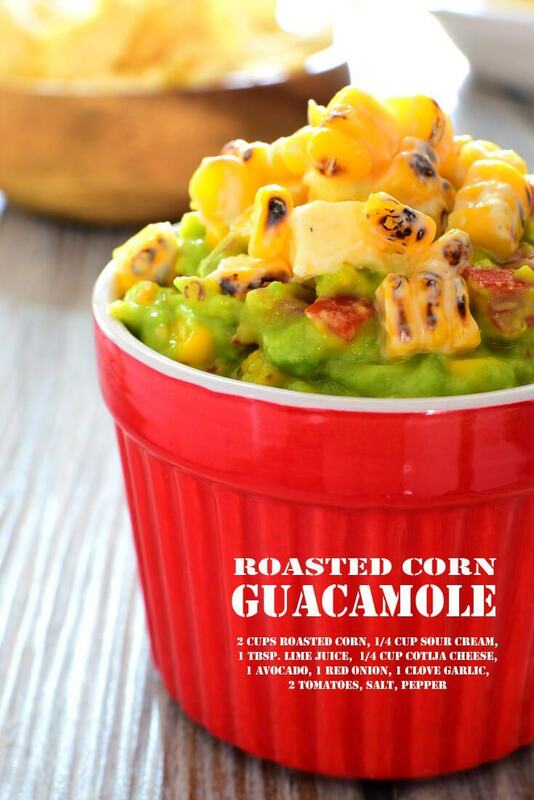 As wonderful as this treat turned out to be, there really is nothing more to it than combining roasted corn and guacamole. We'll be preparing these two mixes separately though, to keep their flavors in distinct layers upon serving. I've pre-boiled my corn with the husks on to serve as a blanket that would keep as much of their natural sweetness locked in. 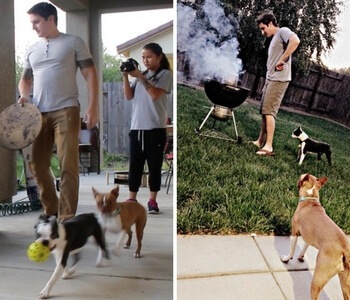 I honestly don't think if there's anything rational with this practice, but I find it worth doing anyway. As soon as they were perfectly tender, I took them out to cool a bit, took the husks off, and gave them a quick char on a live charcoal grill. Here you'll see those gorgeously charred kernels tossed in some sour cream, cotija cheese, some lime juice, salt, and pepper. Pretty much how you'd get your street corn in Mexico! Here you'll see a mashed guacamole being prepared. It basically is a salsa of fresh tomatoes, red onions, jalapeños, garlic, and lime juice, blended with fully ripe avocados. 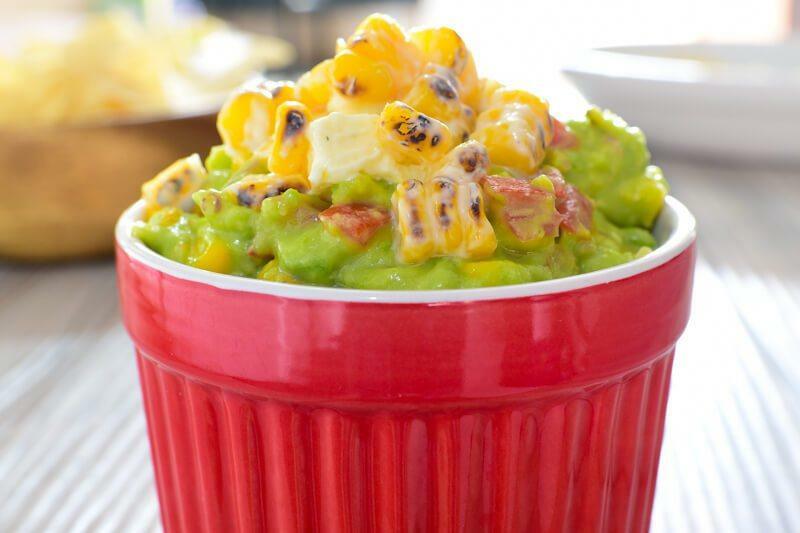 Take the corn mixture, saving some behind for later, and toss it with the prepared guacamole. 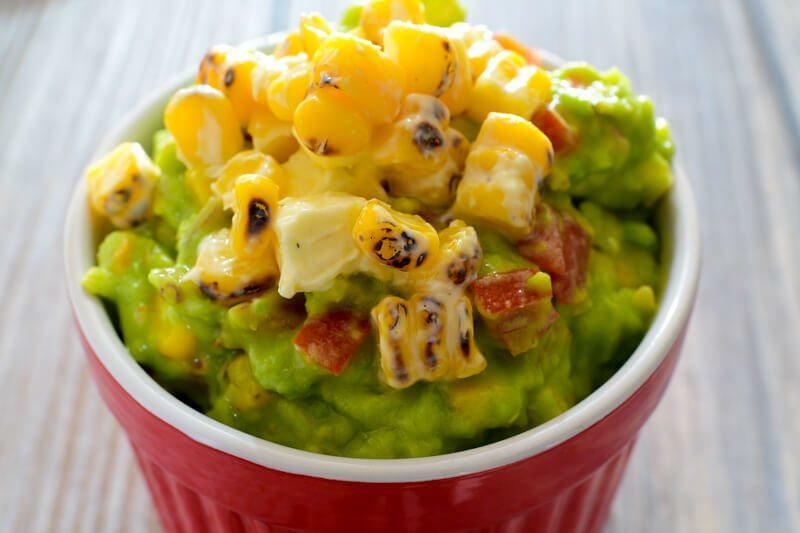 Once evenly combined, spoon the corn and guacamole mixture into serving bowls and top it with some of the reserved corn mixture. Serve with some chips, tacos, burgers, burritos. . . with anything that you'd love to have guacamole with. I really loved this treat and would enjoy it without the need for anything else!